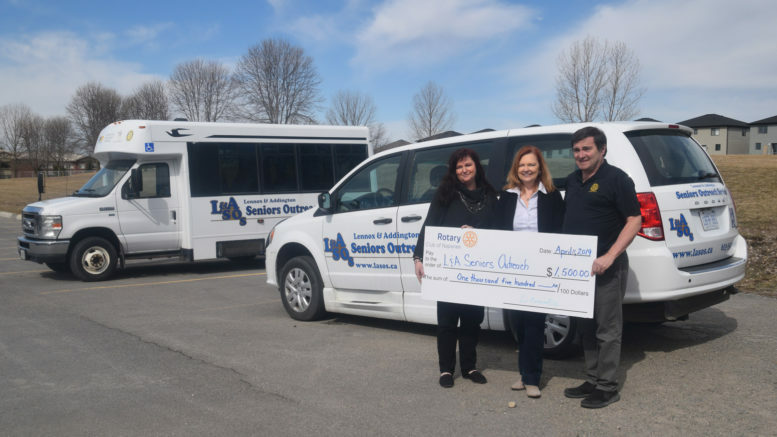 Lennox and Addington Senior Outreach Services transportation coordinator Laura MacLaughlin and executive director Wendy McDonald accept a $1,500 from Rotary past-president Chris Seeley. The money helped to get SOS's wheel-chair accessible van and bus back on the road. The van is now available for rent to any resident in need of wheel chair transportation in the county. Photo by Adam Prudhomme.